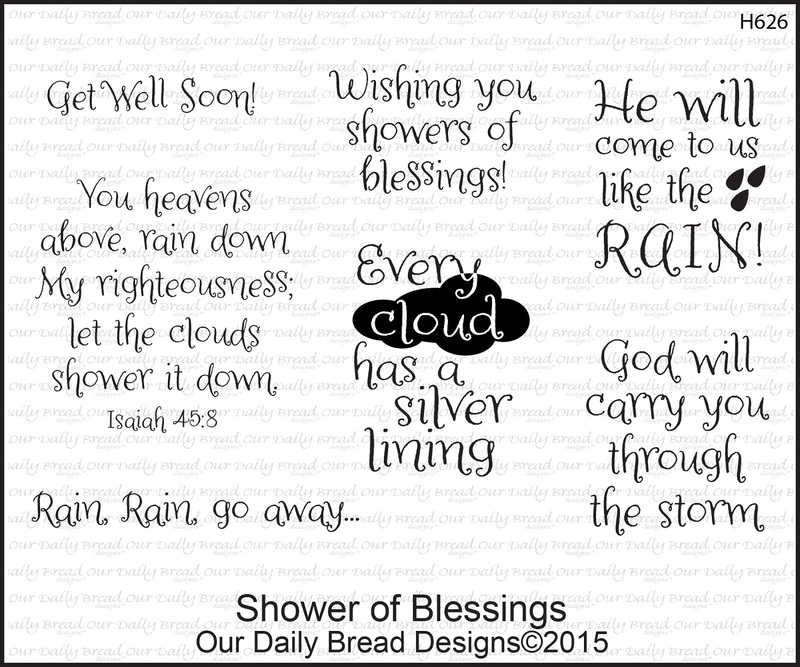 Divinity Designs, LLC Blog: Our Daily Bread Designs April New Release Post and Blog Hop! 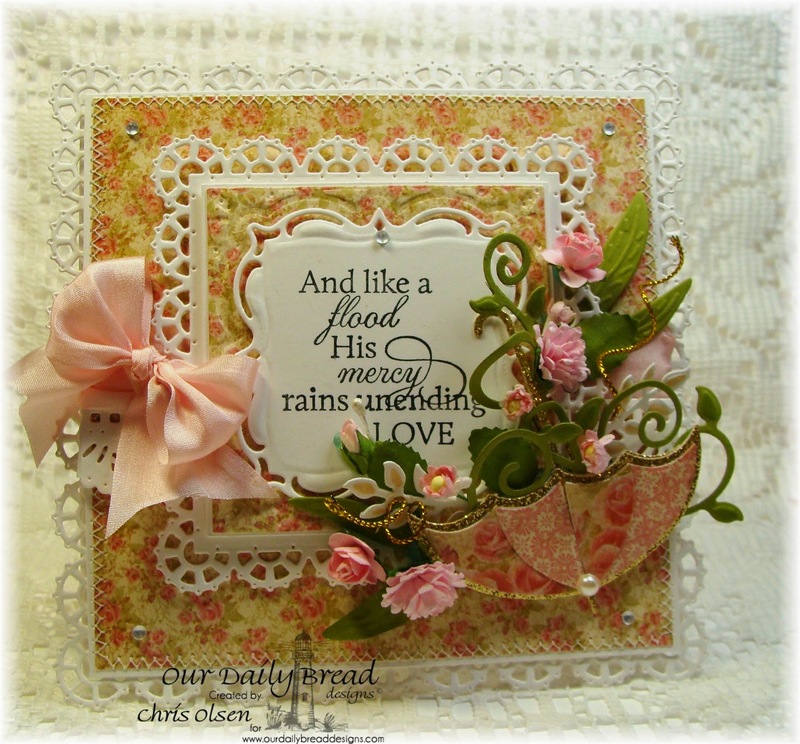 Our Daily Bread Designs April New Release Post and Blog Hop! 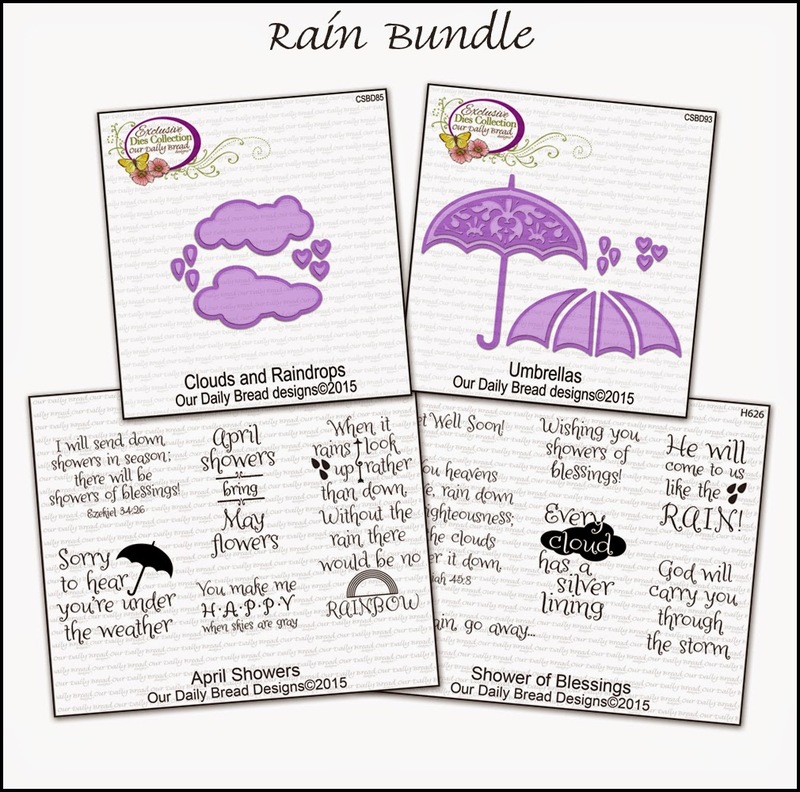 Welcome to our April New Release post and Blog Hop! Please keep reading to find out how you can WIN one of three $25 Gift Certificates to the ODBD store! 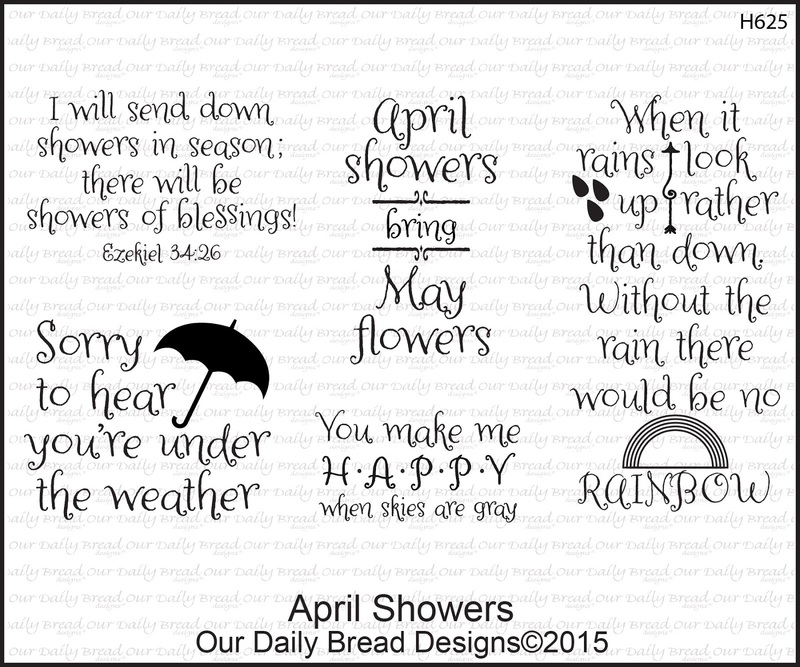 Our April New Releases are now available for purchase, click here to order from our website! You can also call Josh at 877-451-4909 to place your phone order. 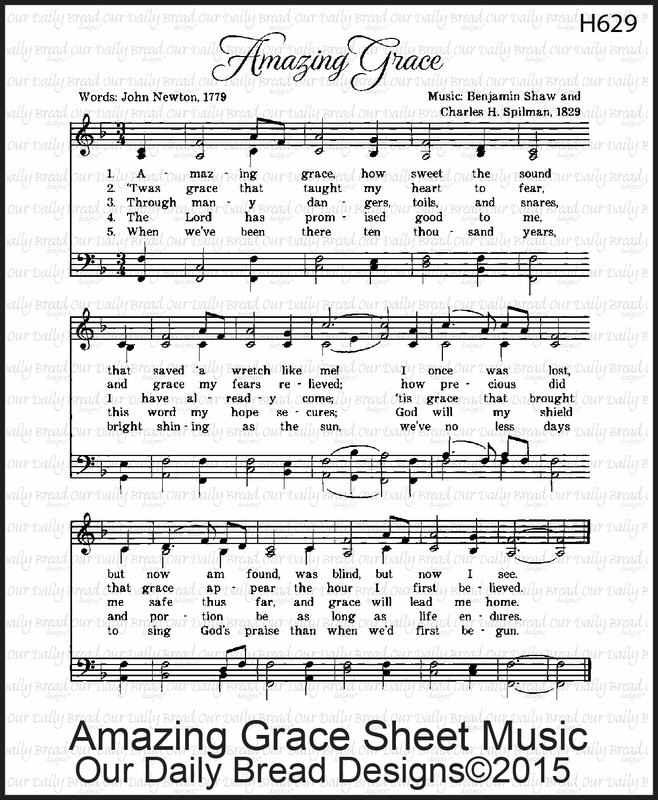 Amazing Grace, a classic hymn that teaches us that forgiveness will always be there, regardless of our sins, all because of God's great mercy! 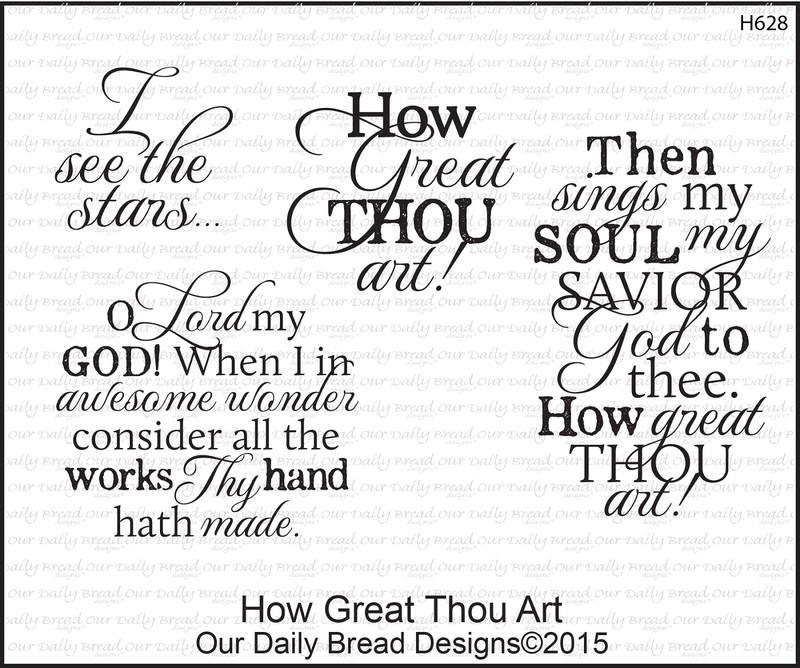 Originally written in Sweden in 1885 and having many revisions, it is of course the English version we have grown to love and is one of the most loved hymns of all time! 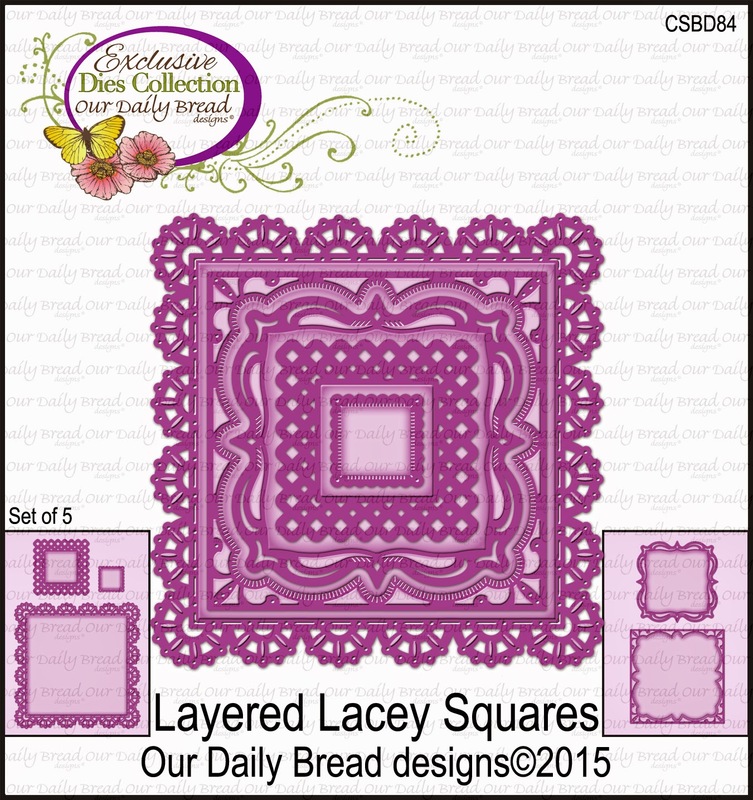 Our new dies, Layered Lacey Squares, is a new fun square shape with several layering pieces that can be used in many different combinations! Check out all the samples the design team has created HERE! Aren't these clouds so cute? 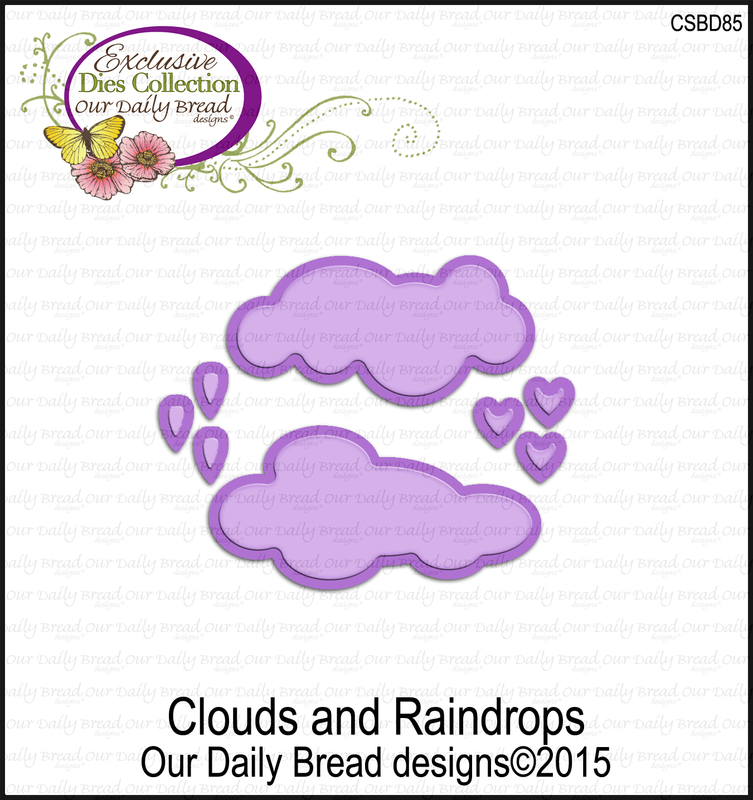 And the little raindrops, especially the heart raindrops, are so adorable! 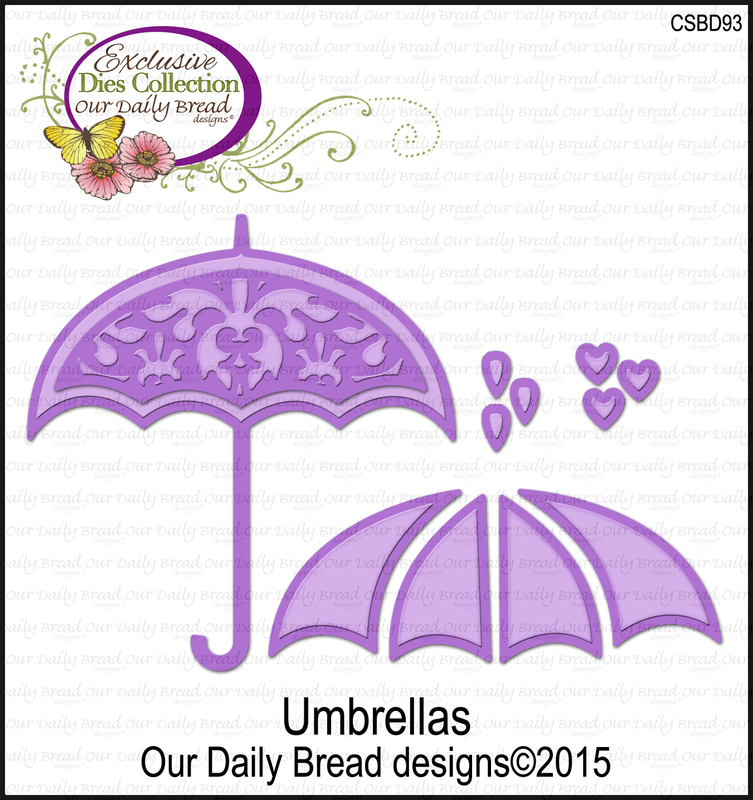 Michelle designed these umbrellas with the ODBD classic elegant style! 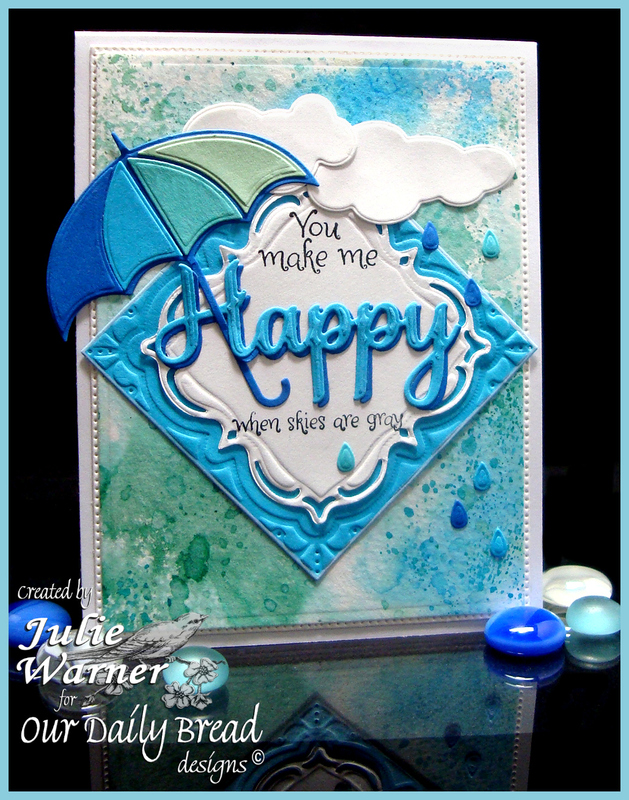 Layer the different sections, or cut out using different pattern papers from the ODBD Paper Pads! 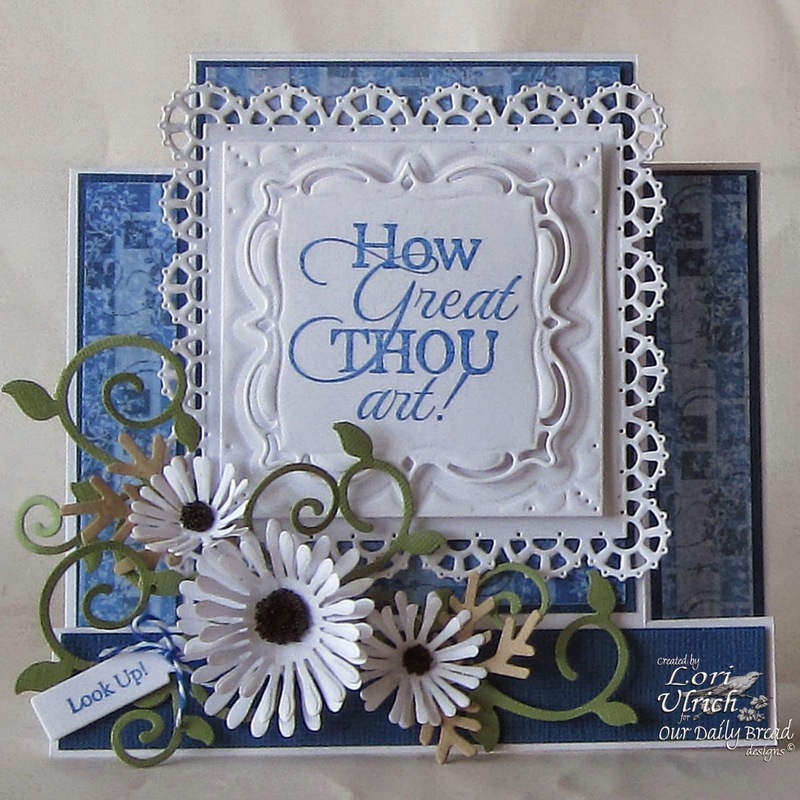 Our DT samples are gorgeous with these dies!! This month, we are only posting ONE Design Team project from each designer with their other projects being posted on their blogs, links to their blogs can be found under their project. 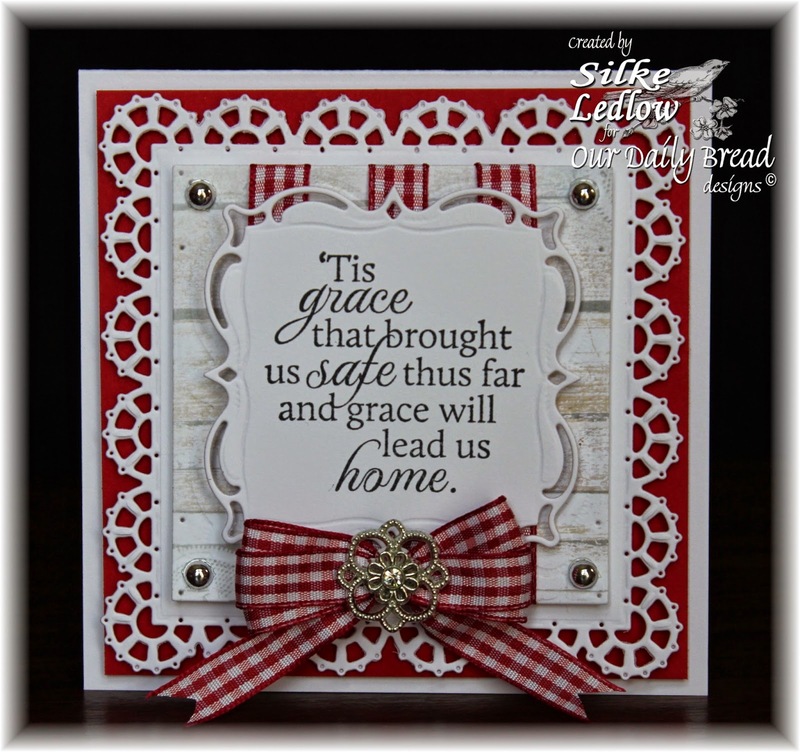 Three randomly selected winners will each receive a $25 gift certificate to the ODBD Store, to be used toward the purchase of ODBD Stamps found in the "stamps column" of the website just for commenting on the Design Team cards on their blogs! You have until April 2, 2015 at 9:00 p.m. EST to leave your comments for a chance to win! The Winners will be posted on the ODBD Blog on April 3rd, so be sure to check back to see if you won! For more inspiration visit our Gallery, like us on Facebook and follow us on Pinterest and Twitter! I wish you a most blessed and Happy Easter!! Awesome release this month....thank you!!! Fabulous samples, girls!!! HUGS!! Awesome release, the ladies did a fabulous job show casing this beautiful release. Amazing work by the DT. Thank you for all the fabulous ideas. I think this is my favorite new release! And, a big thanks going out to all the ladies who have created such gorgeous and inspiring work. Wow, I was just blown away with gorgeousness from the designers. They have so much creativity. I really love this release. Thanks. 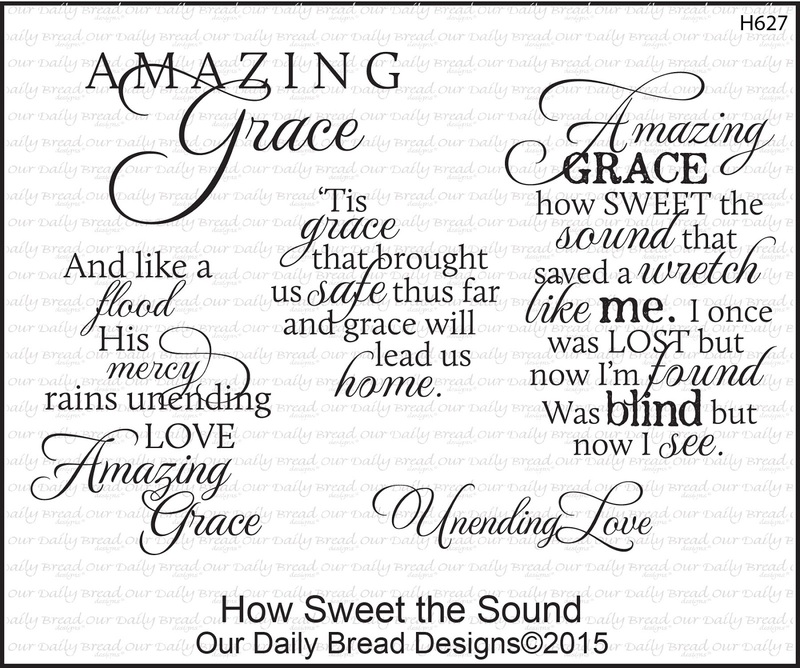 I love the Amazing Grace stamps. Beautifully done cards. 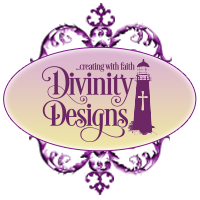 Great new products & sample projects! Loving the new dies especially. The hop was awesome, I can tell the DT put alot of time and attention into their creations for the lovely new releases. Thanks for sharing. 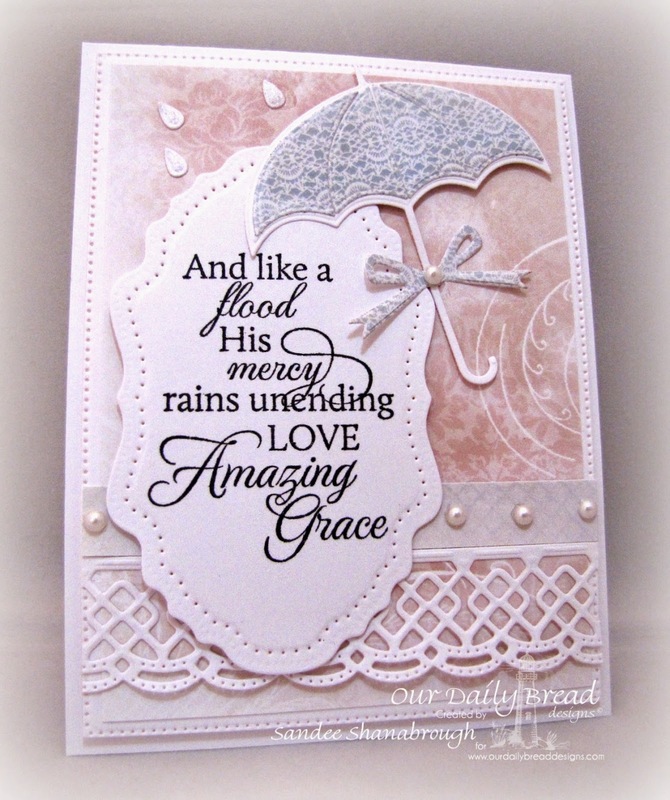 Fantastic blog hop! The design team is so creative, thanks for the inspiration! 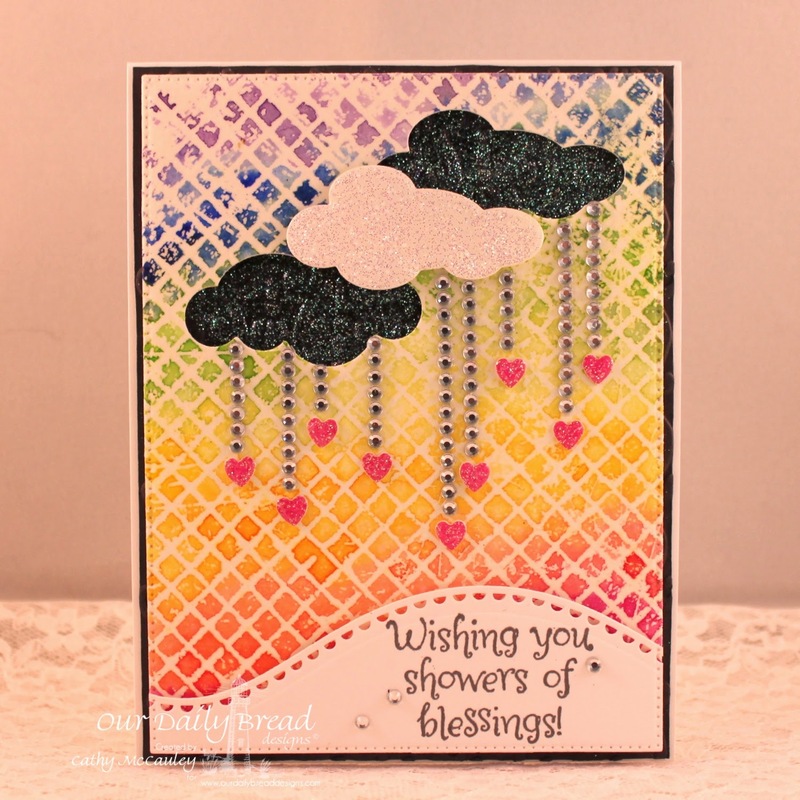 What a great blog hop with some amazingly beautiful cards! So much inspiration. Makes me want to get out my stamps instead of finishing my taxes! lol! Thanks so much for putting this together for us. This release is beyond awesome! I'm so inspired by everyone's samples - a huge thank you to Kelley and the ODBD team, and to my fellow Breadsticks - love you all! Awesome new release and hop!! All the DT's creations were completely awesome as usual!! What a Simply Gorgeous Hop. Your Team has totally outdone themselves with all the Ideas and techniques are Beautiful. thanks for sharing and giving me so much Inspiration to start making more cards. Love all the new products I need them all. Incredible release items...and the Breadsticks have outdone themselves! 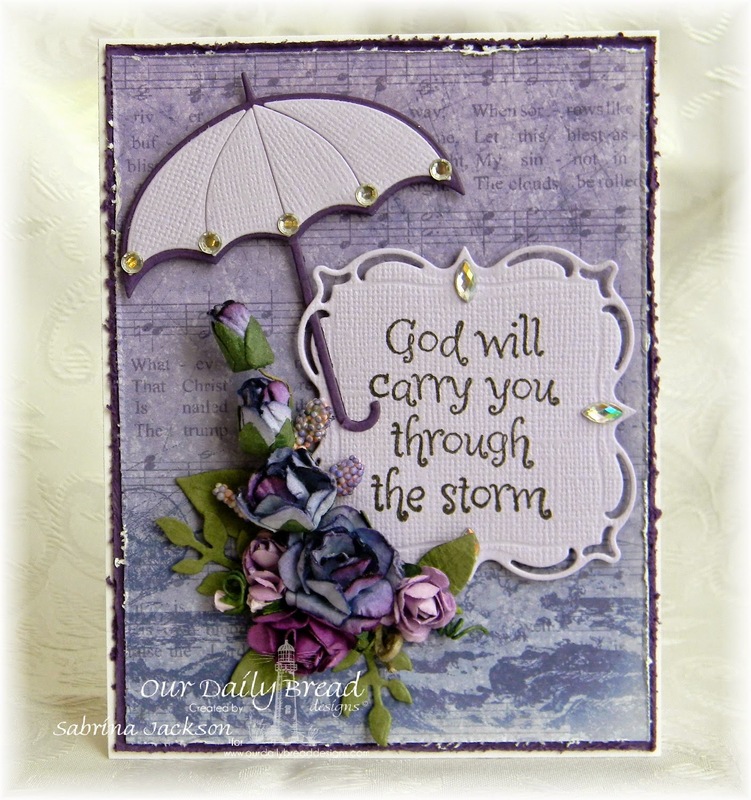 I finished the blog hop with lots of inspiration!